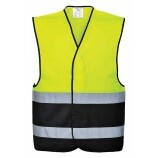 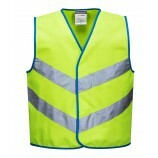 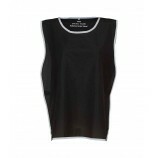 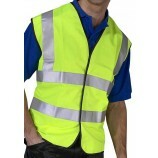 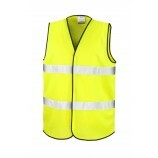 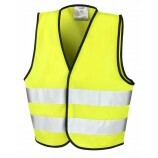 A massive range of cheap hi-vis clothing in various styles. 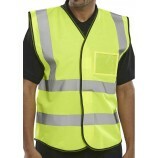 Our major brand of hi-vis is Portwest but we also stock products from Leo Workwear, Dickies and premuim brands like Fristads and Helyy Hansen. 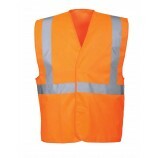 If you work on or near highways it will be essential to wear the correct certificated hi-vis garments but increased visibility is useful in a whole host of other applications such as the construction industry, security, warehousing, car parks etc. 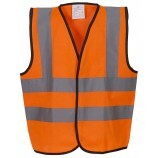 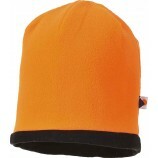 This section includes all the usual suspects such as hi-vis vests and coats but also some more unusual items such as high vis hoodies and Rail Spec coveralls. 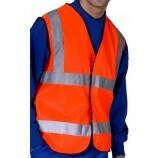 Trousers have become a big seller too in recent years and we offer both polycotton work trousers (in yellow and rail spec orange) and various waterproof overtrousers. 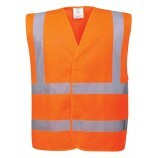 Yellow hi vis is more popular with road and industrial users whereas orange is required to meet GO/RT 3279 rail specs, but is also popular with motorsport race marshals etc. 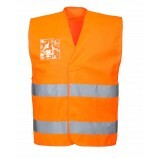 The laws for rail spec items have recently changed and waterproof garments now need to be breathable and so are unable to have a fixed lining. 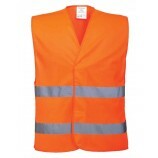 All our hi-vis clothing can be printed with your name or logo and we can offer significant discounts if you order in quantities. 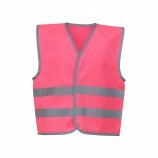 Check out individual product pages to see quantity discounts - if you require really large quantities please contact us for the cheapest possible prices.